The year of 2018 has almost passed away and Christmas holidays are here. 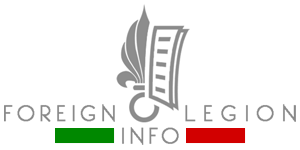 This September, the ForeignLegion.Info unofficial online project started its seventh year of promoting the famous French Foreign Legion in the English-speaking world. I am glad to see you are still enjoying it. So, what has been already done this year on the website? See the results and future plans for the coming new year. Last week, on December 13, 2018, General Claudio Graziano, the permanent Chairman of the European Union Military Committee (EUMC) visited legionnaires of the 13th Demi-Brigade of the Foreign Legion (13e DBLE) at their Center of Command of Operation Sentinelle during his official visit to France. A few days ago, to improve their amphibious capabilities during military operations, the 3rd Company of the 2nd Foreign Parachute Regiment (2e REP) received two new Sea Rib Aluminium Boats (SRA) from the Zodiac Milpro company. 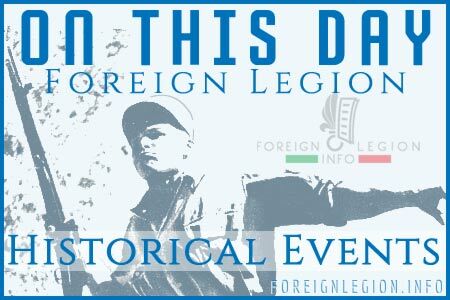 On November 16, 2018, the 4th Foreign Regiment (4e RE) celebrated the 98th anniversary of the creation of the regiment and also 42 years of its implantation at Castelnaudary, southern France. See a short video of the Paris Military Governor showing legionnaires from the 2nd Foreign Engineer Regiment (2e REG) of the French Foreign Legion while being deployed to Paris to participate in Operation Sentinelle, in November 2018. 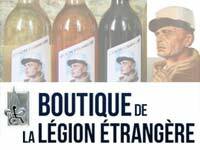 This day marks the birthday of the 2nd Foreign Parachute Regiment (2e REP) of the Foreign Legion. 63 years ago, on December 1, 1955, the well-known unit was established in North Africa. The regiment would take part in the Algerian War, until 1962. After having left Africa for Corsica in 1967, its men would deploy to Chad, Zaire, Iraq, ex-Yugoslavia, Ivory Coast, Afghanistan, Mali or Niger.